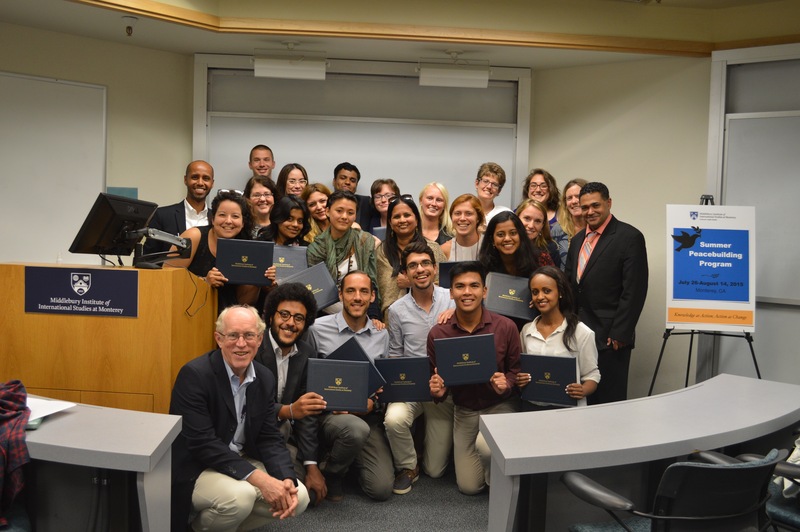 Over the summer of 2015, I participated in the first annual Summer Peacebuilding Program on the campus of the Middlebury Institute of International Studies at Monterey, hosted by Professor Pushpa Iyer and the Center for Conflict Studies. Spending part of the time on the MIIS campus and part of the time at the Mount Madonna Center in Watsonville, CA, our group of almost 20 students from all over the world took a deep dive into many concepts incorporated in peacebuilding. I took a moment to interview 4 of the students from the program, asking them to discuss some of the personal transformations they experienced over those 3-weeks. Take 15 minutes to hear the insightful things they went through. Thank you to Professor Iyer for a great program.